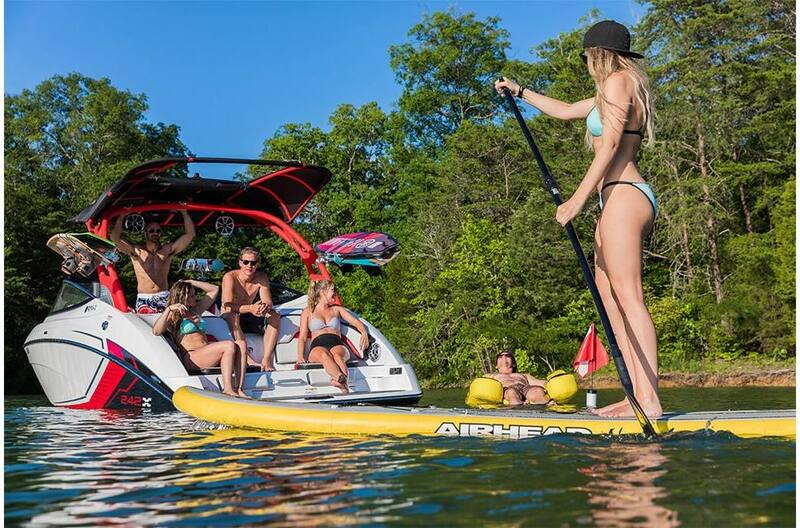 Bimini™ Top With Sunroof: Integrated into the color-matched tower, the extended Bimini™ top includes an adjustable sunroof and solar panel for charging. 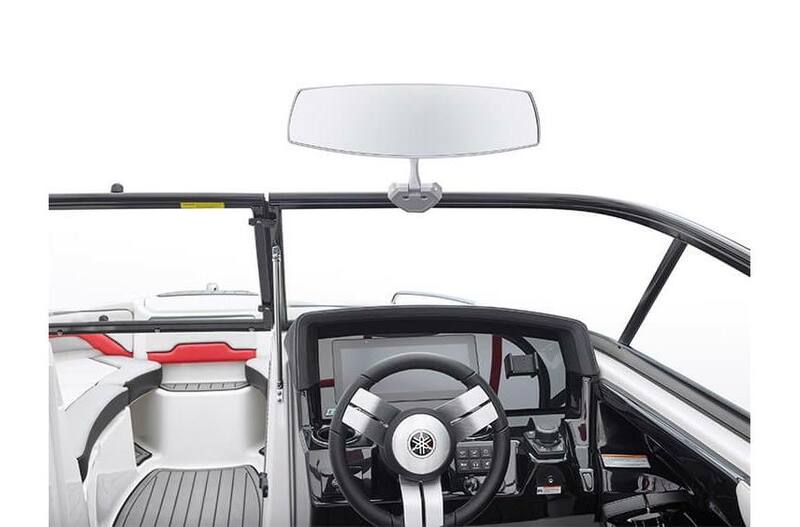 New 12" Connext®: Touchscreen provides all critical boat and entertainment functions, with a new GPS-enabled nautical chart. 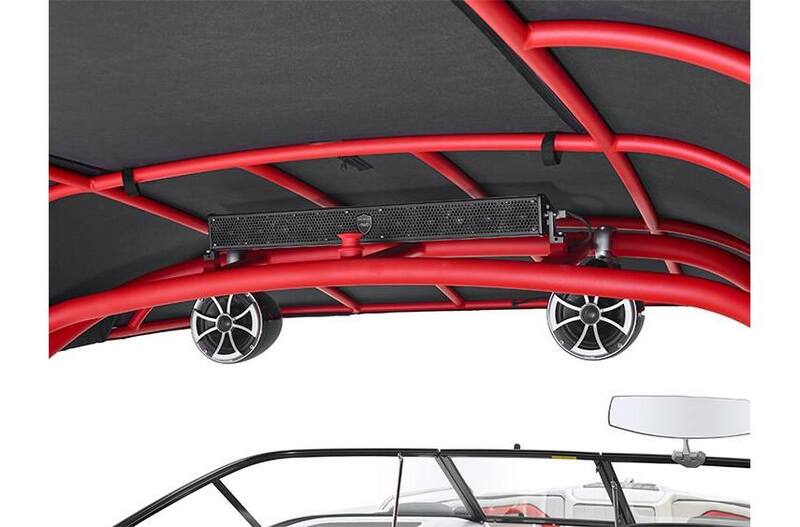 Wet Sounds™ Stereo System: The custom-tuned stereo system includes a sound bar, dual amplifiers and subwoofer. 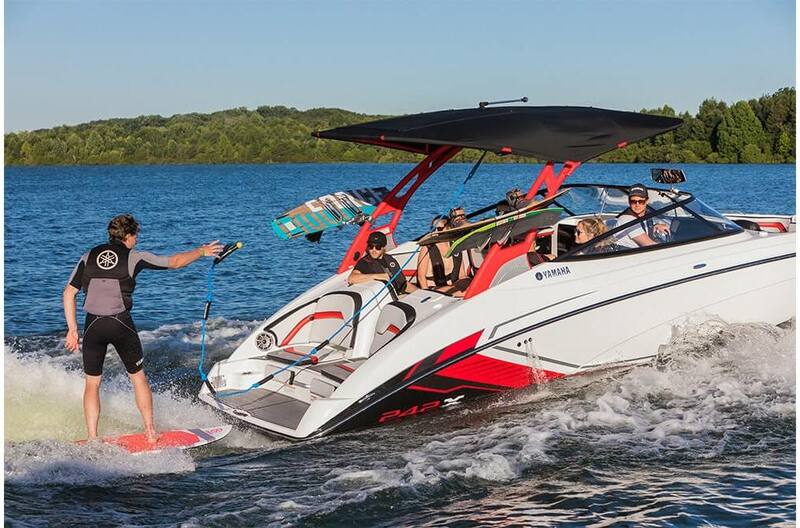 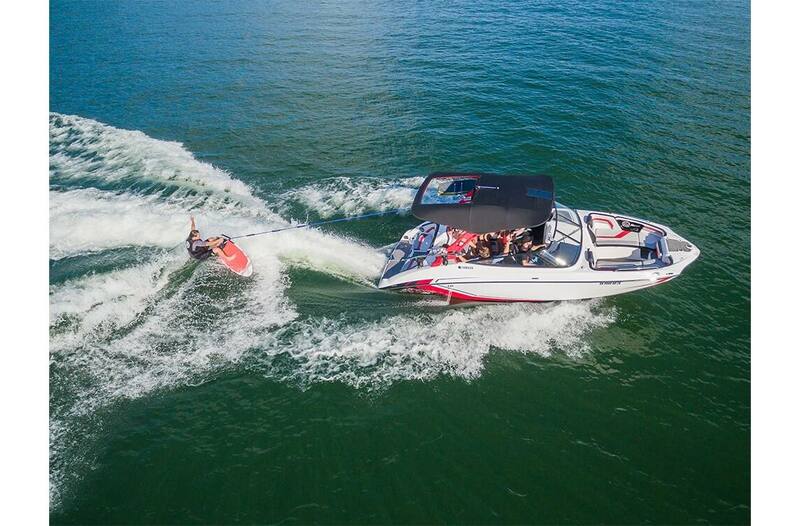 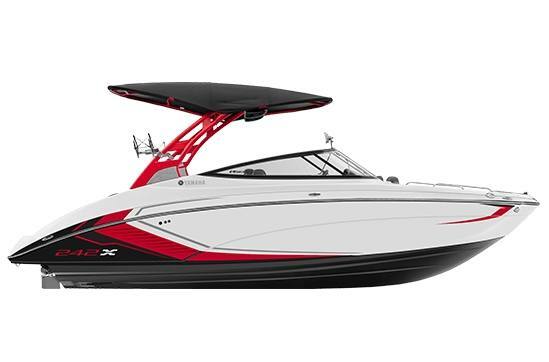 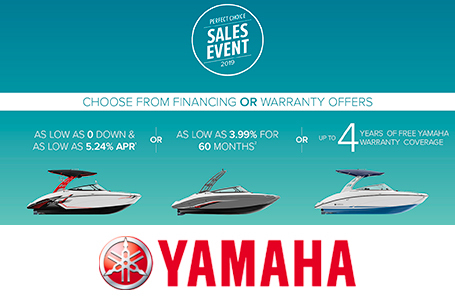 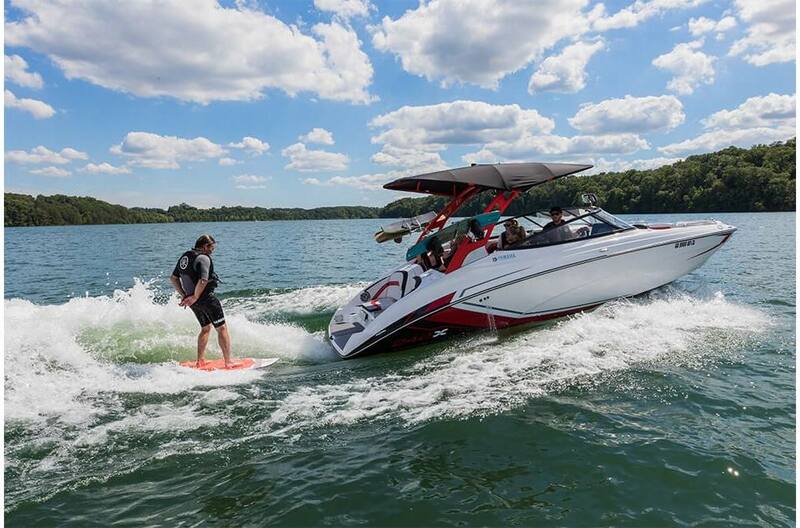 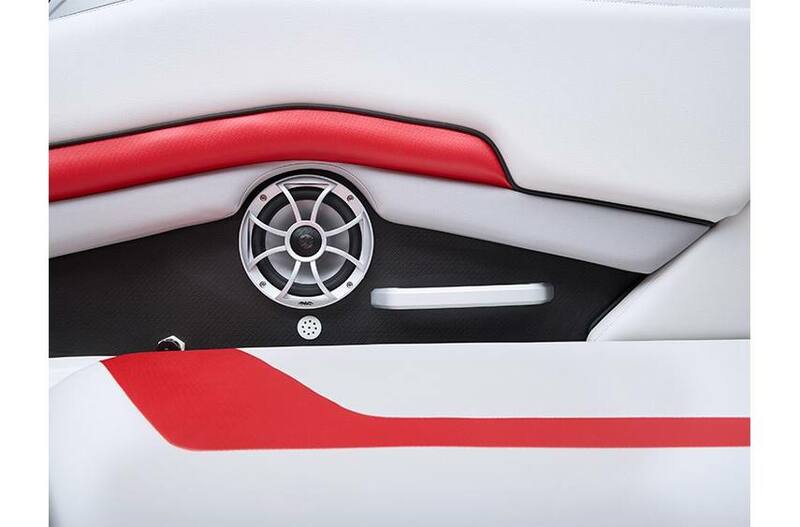 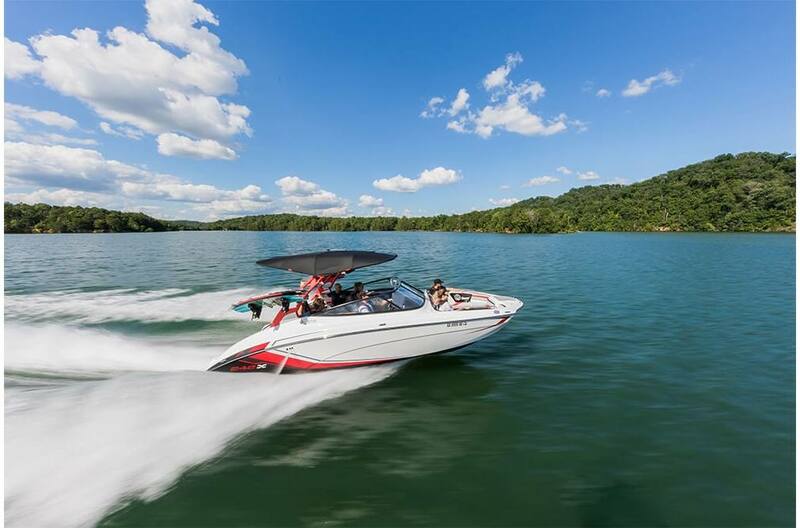 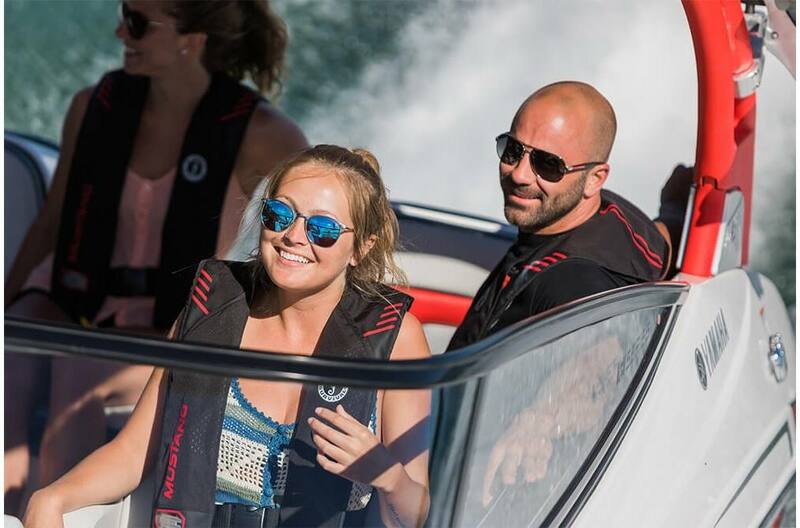 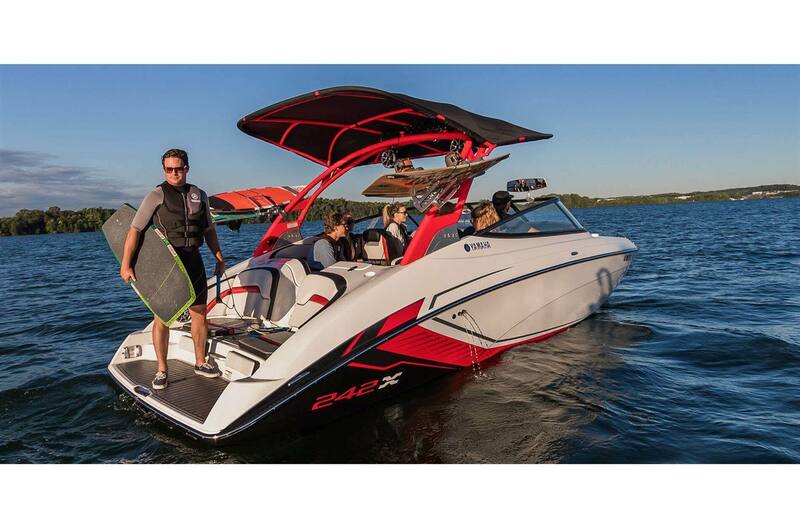 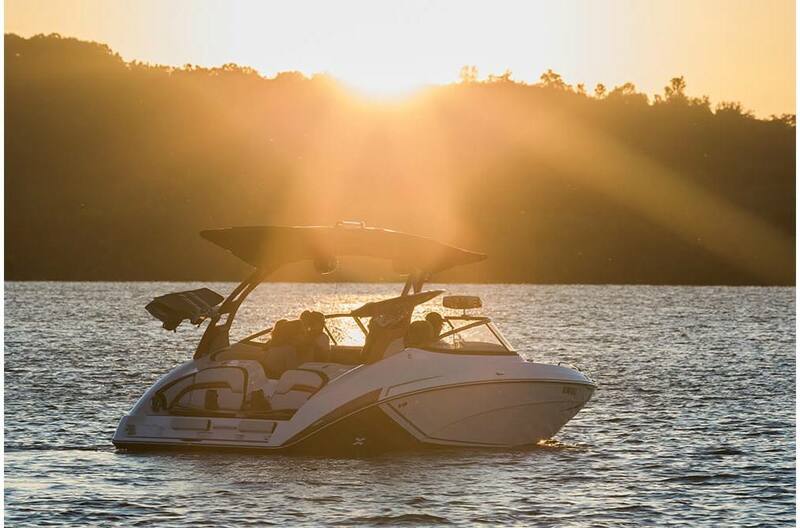 Triple Ballast Tanks: The triple ballast system adds up to 1,400 pounds (180 gallons) of weight to create the perfect wake for riding or surfing behind the 242X. 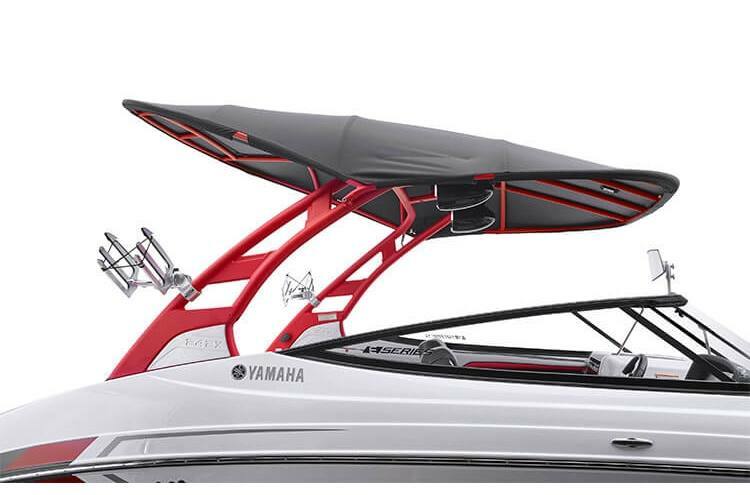 Height on Trailer: 10 ft. 11 in. 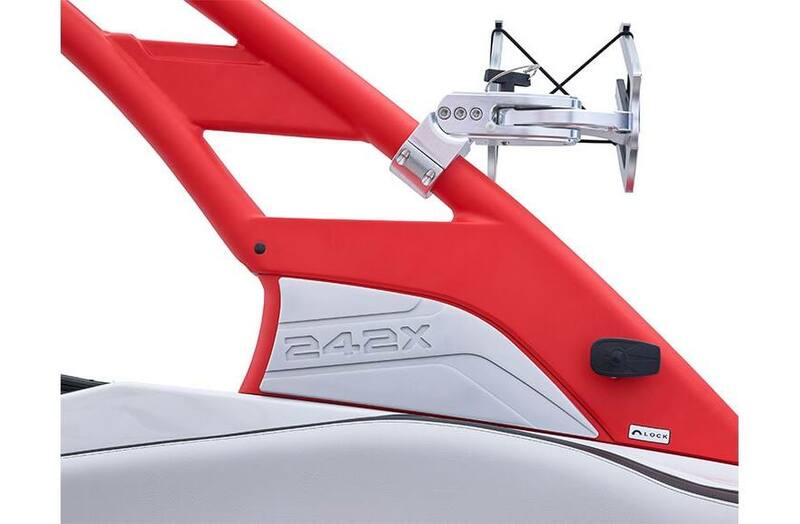 Height on Trailer with Tower Folded: 10 ft.
Dry Weight on Trailer: 5382 lb.